I decided if I didn't take steps to get this done, it wouldn't ever happen. .pdf is 5.99$, print version coming very soon* at 9.99$. What is it? It's a magazine about Megadungeons. 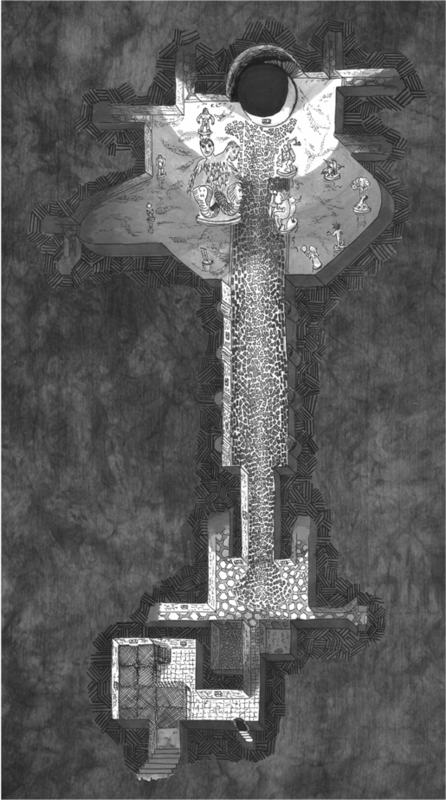 It details the famous OSR megadungeon Numenhalla, but material is usable in any campaign. It is dual-stated for B/X and 5e. If you're a Patreon you should know you've already received your free .pdf this weekend! Hi, I post as "tetramorph" on ODD74 and at the K&KA. I learned about this product through posts on google+. Thanks. If this is the same Courtney Cambell, I really like your tricks and traps book. I've learned a lot from it and I have used it to generate my own tables. Are you the sole author of this "magazine"? No big whoop if you are but, if so, why not put your author's name on it? If not, why not request content submission? 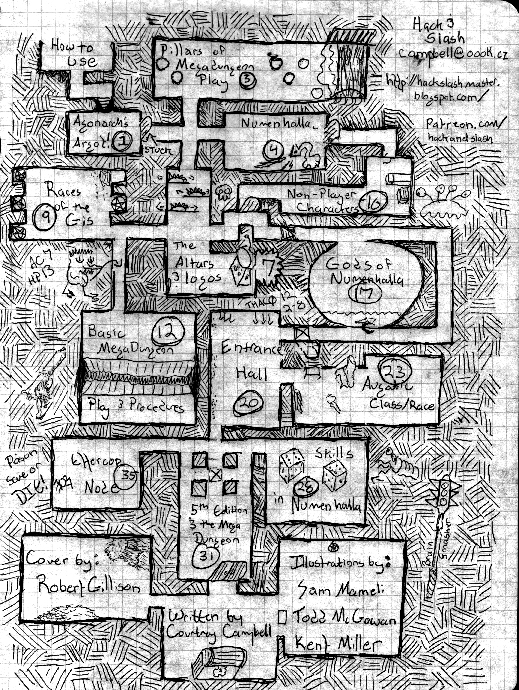 One of the things I've always loved about your approach is that you take a pretty informed archetypal approach to the dungeon as mythic underworld and to D&D, in general. This is my approach as well but I have found it to be pretty rare. I find some blank stares and sometimes hostility to such an approach. Sigh. I loved your archetypal explanations in the introductory pages and it gave me some ideas. Are you drawing from Jung, Cambell or perhaps even Jordan Peterson (love his Maps of Meaning), or perhaps some combination of the above? 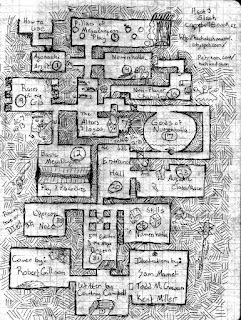 I loved your three pillars of megadungeon play up front as contrasted with your three pillars of "adventure play," in your description of 5e, towards the end. 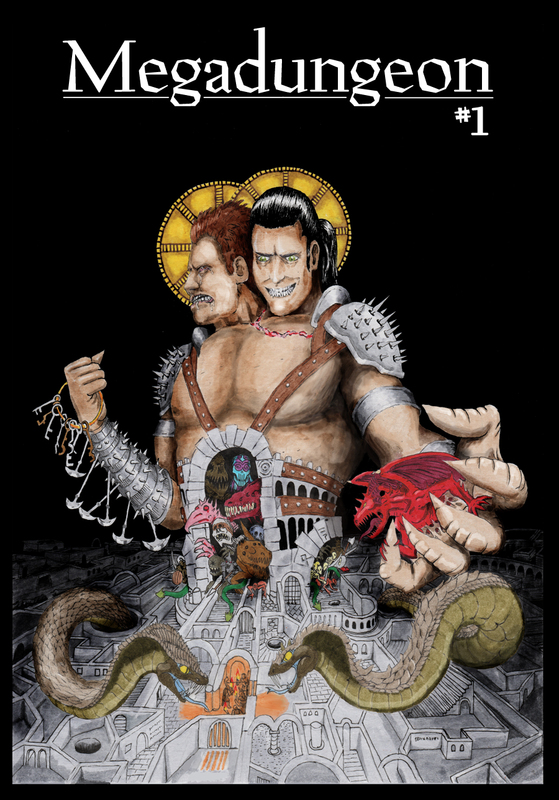 It makes excellent sense of the difference between old school and new school play-styles and why 5e is so inimical to old school play, unmodified. Thanks for that. (BTW, I would call "adventure play," "story gaming," and I would call "megadungeon play," "war-gaming.) I am definitely going to use this. I will (try always) to give you credit! The "Numenhalla" Poem is a gem. I think you have a misspelling: "mankind did leave in peace," I think you mean "mankind did live in peace," no? Reading your descriptions filled me with my own ideas. I may not wind up using your map/key but generating my own. But, then again, that seems to be your point! Thanks for your handy way of explaining how NOT EXPLAINING everything is NOT the same as deliberate obfuscation. 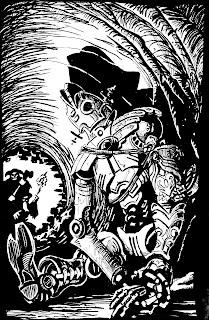 I use a very traditional medieval western cosmos for my setting (Perilous Realms). I think I will turn your "the logos," into something like "The Intelligible Realm." This means almost the same thing, but the Logos is currently incarnate as the King of the Heavenly Spheres IMC, so there you go. I will probably just go with the traditional names of the classes so that I can fit it directly into my campaign. So thanks for giving the standard names in parentheses. 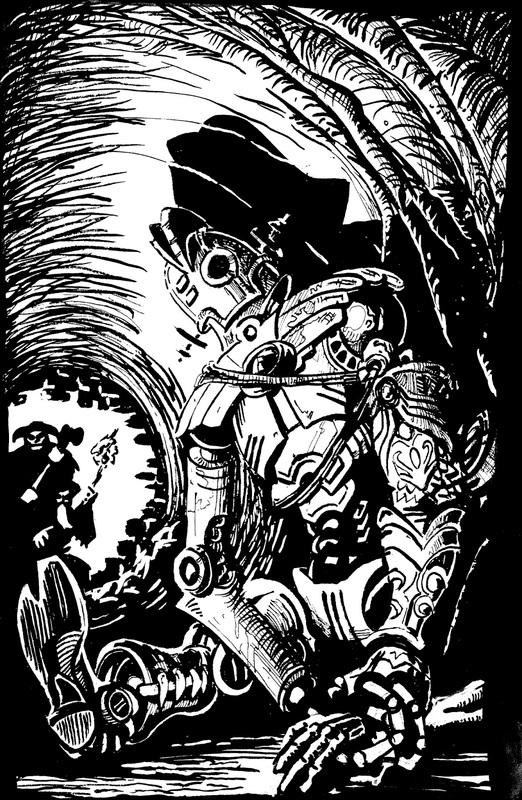 I will call auguatics "Living Golems / Automata." What is your goal of giving us 2 NPCs? Gods of Numenhalla are great. I like "Numen" as god/s / light of the god/s. Cool. The table on p. 19 is even better for me than the descriptions given on the pages before. I love syncretistic correlations between pagan deities, so this is fun and inspiring. For skills, I prefer to keep to d6 and just go: 1:6, 1:3, 2:3, 5:6. Four "DCs" is good enough for me in the main. But, as I think about it, I can't really see myself using "skills," per se. I would see if things match to "listen at door," "spikes hold," "force door," "trigger trap," checks and use those, as described above. If the requested action doesn't fit the above categories, I will just do a 3d6 ability check. But thanks for the thoughtfulness on this section. When attempting to use 5e for megadungeon play, why not drop combat as XP all together, or use a Gygaxian 100 per HD approach? Why not simply drop skills altogether and use something as I've described above? 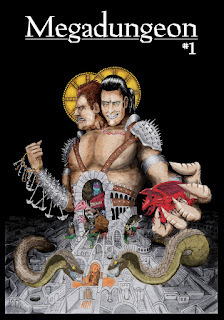 Or rather, is that another way you could imagine working for 5e use in a megadungeon? Finally, just for fun, I play 0e. I've found (and named) the following tiers of play: 1-3 normal; 4-6 heroic; 7-9 super heroic; 10-12 legendary; 13+ mythical. FWIW. Thanks for this excellent, inspiring resource. I do believe it was worth my money for the PDF and I look forward to the next installment! But seriously, though. I've wanted to get this. How's the print schedule going? Tomorrow is the 18th. Sorry for the hangup. It's ready to go with Lulu, but RPG.now has a very long delay for setting up print options. Will definitely be in print this week.